Speech – Ask the person to repeat a simple phrase. Is the speech slurred or strange? 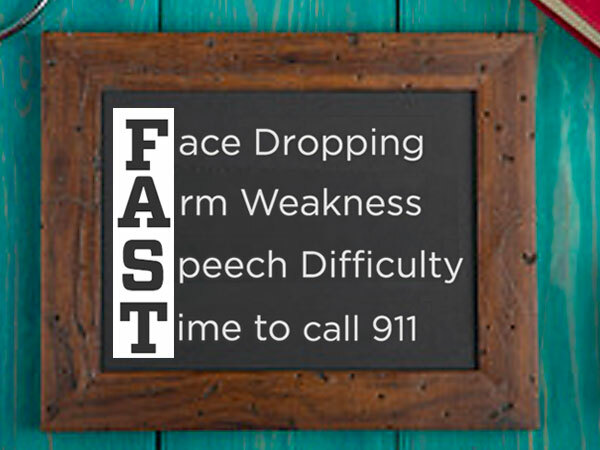 Every second counts in the treatment of a stroke. Seeking help quickly means a better chance of treatment and recovery.